In 1991, when Douglas A. Martin was a senior in high school, he was so captivated by R.E.M.’s homoerotically charged video “Losing My Religion” that he told his sister, “I’m going to marry Michael Stipe.” This, of course, was before he had even met the enigmatic, sometimes-queer singer of one of America’s most respected rock bands. “When I saw the video, I didn’t fall in love with Michael Stipe. 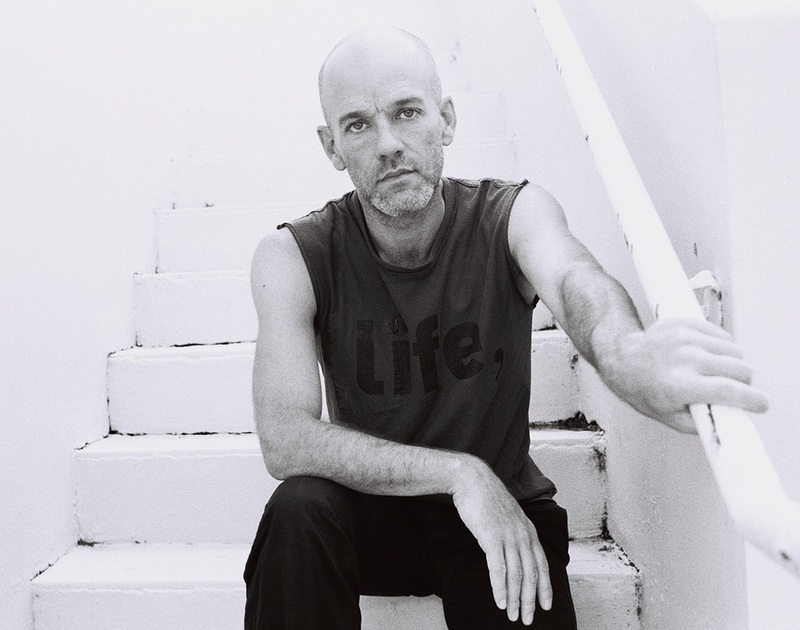 I fell in love with what I thought was Michael Stipe. I fell in love with the image that a director helped create,” Martin explains. After high school, the obsessed adolescent went to study theater at the University of Georgia in Athens — the relatively small college town where R.E.M. hail and still maintain residence as Athens’ multi-millionaire heroes. In “Outline of My Lover” (Soft Skull Press, $12, May, 2000), Martin, 26, writes in first person about a teenager who moves to Athens and seeks out a relationship with a luminous rock star. “The individual in the book is based very strongly on my life and my relationship with Michael Stipe. But it’s not a kiss-and-tell. I’ve been keeping a journal since 1992. I have over 100 journals — each one is over 200 pages. If this was a kiss-and-tell, it would be a much thicker book,” he promises. Stipe has always maintained a secretive personal life (before he became famous, the eccentric singer supposedly spent an entire year without speaking to anyone), which has helped foster his image as The Mysterious Rock Star. To fictionally disclose intimate details about his relationship with Stipe has been courageous on Martin’s part. Martin creates a mood of self-inflicted misery in “Outline of My Lover,” but he’s not as despondent as his novel’s protagonist. He also says it’s laughable to act like he has amnesia about his relationship with Stipe. Throughout his career, Stipe has been a prominent spokesperson for historical preservation and environmental concerns. However, when it comes to defining labels, the ambiguous activist hasn’t been the brave champion of gays. “In my relationship with Michael, I got to see someone who lived their life as an artist. I got to learn from that. I also was able to buy a lot of time, which is a very important thing for an artist. It’s unfortunate that our society isn’t set up anymore like the Greeks where a young boy could be mentored and become an artist,” Martin says. “Outline of My Lover” lyrically weaves the story of a failed relationship, but Martin insists that it isn’t a memoir. In the book, the protagonist never fully recovers from the sorrowful breakup. The parallels of the book and Martin’s relationship with Stipe leaves readers wondering if the author is still in love with the wealthy singer. Does he wish things could have worked out differently? Martin says that Stipe is aware of the book, but he hasn’t heard anything from the R.E.M. camp. Meanwhile, it seems Martin has gotten on with his life. He says he’s in love again, with a poet, and that they recently celebrated their first anniversary. “He’s completely there for me on every level. We talk about my writing, we talk about this book, we talk about his writing,” he says. Many might question Martin’s license to fictionalize his romance with Stipe, thereby exposing the private life of a celebrity. However, according to Martin, Stipe has already exposed their relationship in his lyrics.